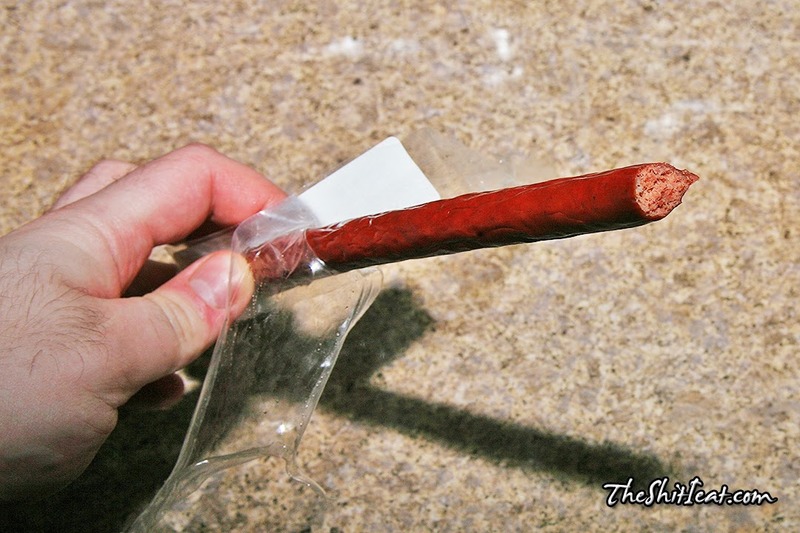 Got this meat stick for $0.50 at Jack's 99c store. 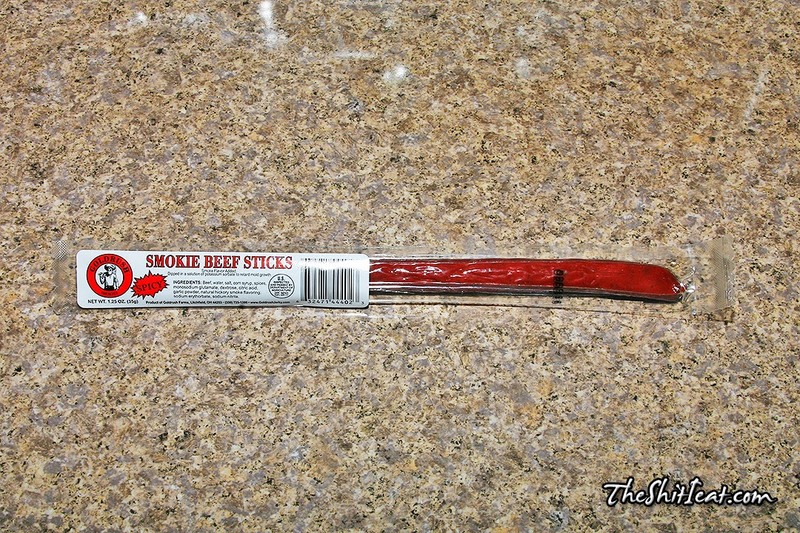 It tastes differently from the likes of Slim Jim and Jack Link's; its tender and has no soy filler. The spiciness is really mild and the next day I went back to get some more, but they were all sold-out.